First edition. Folio size. Brown sand-grain gilt cloth, beveled boards. 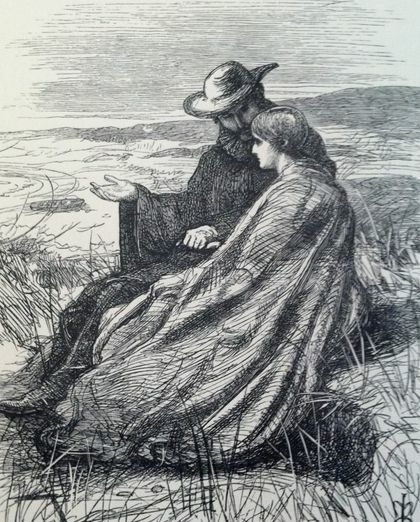 80 exquisite wood engraved illustrations by Millais. All edges gilt. Covers somewhat rubbed, string marks, some wear to covers, still a very nice copy indeed of a book becoming quite scarce in the first issue.